Compact cameras, also known as Point-and-Shoot cameras have become very popular over the past years. The image quality you can get, both video and photos from these compact cameras have significantly improved, even rivaling against the quality you get from DSLR cameras. Many content creators choose to use compact cameras, whether they’re vlogging or shooting photos on the go. Having the ability to capture high-quality content with such a compact device has truly changed the game of content creation. It has become less of a hassle now that there are camera options that are more convenient to use, but there’s so much to choose from. Let’s discuss what we think are the best touch screen compact cameras are in 2019. Compact cameras are excellent for traveling and on-the-go use. Their small compact size makes it easier to bring out and use when compared to bigger cameras such as DSLRs and Camcorders. These cameras are also much more discreet, bringing less attention to you whenever you use it in public. The cameras that we are going to discuss today are top-quality compact cameras that can even match the quality of many DSLRs. They’re usually more user-friendly and provide a great experience for users of all skill levels. If you’re looking for a camera that isn’t a hassle to bring around while not sacrificing image quality, then a nice compact camera is exactly what you need. Now let’s discuss what we think are the best touch screen compact cameras that you can use in 2019. 1080p video at up to 960FPS! Sony was always known for their high-quality premium cameras. It’s no different with their compact touch screen camera, the Sony RX100. This compact camera can film in 4k up to 30 fps. It can also film up to 960fps while maintaining 1080pHD, allowing you to get very high-quality slow-motion video. The Sony Rx100 VI also comes with a nice LCD Touchscreen monitor that can tilt upwards 180° and tilt downwards 90°. It’s great for setting the focus for video recording as you can use the touch screen autofocus, an important feature for vloggers. This camera has a 24-200mm wide angle lens with a 3.6x optical zoom. It’s an excellent camera for on-the-go photography. There are a few things to keep in mind, however. You are limited to around 5 minutes of straight filming in 4k HDR and around 29 minutes of straight filming in 1080pHD. This is how the camera prevents itself from overheating as compact cameras are more prone to overheat after extended use. The batteries are also small for this compact camera. With the incredible features that come with this camera, you can imagine that it definitely eats up a lot of battery. Expect to buy more than one extra battery if you plan to use this camera a lot for video. There is a cool feature that helps with the small battery issue. Just like the previous Rx100, you can use an external battery charger to charge the camera. All you have to do is plug your external battery charger into the camera’s charging port via USB and you’re good to go. An excellent feature for someone who plans to use this camera for extended periods of time away from an outlet. This camera is one of the more expensive choices when it comes to compact cameras with touch screens. You can still get a nice compact camera for a lower price, but if you can afford it, the Sony RX100 is definitely worth the premium price tag. The design of the Sony Rx100 VI is very nice, but we didn’t like how they went for more of a slick design. It does look great, however not having any grip on the front side of the camera can be a little worrying during use. 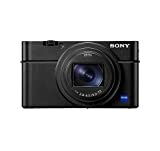 The high quality and the amazing features that come with the Sony Rx100 VI makes it the overall best touch screen compact camera on the market. One of the most popular compact cameras, the Canon G7x Mark II is another excellent choice. It’s the go-to camera for a lot of vloggers online for its ability to film high-quality videos while still being a durable compact camera. It’s a very good camera that maintains it’s quality, all while coming at a more affordable price. This camera has a large 1-inch, 20.1 Megapixel CMOS sensor that helps you capture high-quality images and videos all with a wide angle of view. You will have the opti0n of switching between autofocus and manual focus with this camera. It has a 24-100mm lens with 4.2x optical zoom to get those far away shots. You can film full 1080pHD video in 24fps,30fps, and 60fps. This means you’ll also be able to film nice smooth slow motion shots. The camera has a high-resolution, 3.0″ touchscreen that can tilt up 180° and down 45°. It has built-in-wifi, making it more convenient as you can transfer images and videos straight to your smartphone device with Canon’s app. This camera is easy to bring around as it can fit right in your pockets, giving you easy access to your camera for unexpected situations. It’s really a great camera, but there are a few things you should keep in mind before buying the G7x. Some people say that the camera’s images/videos come out a little oversaturated. The color tends to pop out more with the G7x. A lot of people find that the extra color in their footage is nice as they don’t have too much color grading in post, however, there are people who prefer to have more of a raw shot. This will rely on preference as it can be an important factoring decision to purchasing this camera. Another thing that you should keep in mind is that this camera does not film video in 4k. You can only film up to 1080p. Now compared to the Sony Rx100 VI, the video quality limit is definitely lower with the G7x , however, don’t forget that you’re paying around half the price. Overall, the Canon G7x Mark II is an excellent camera with some limitations that can be overlooked due to its price. The Panasonic ZS100 is another great compact camera that falls under the same price range as the Canon G7x Mark II. It comes with a large 1-inch, 20-megapixel sensor that delivers bright and colorful photos. This camera also has a 25-250mm lens with a 10x optical zoom. It’s nice to see that this camera can film in 4k Ultra HD in 30fps, a feature that isn’t available on the Canon G7x Mark II. You can also film up to 120fps of 1080pHD, allowing you to have really nice slow motion footage. 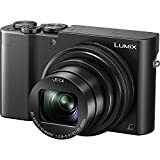 Having the option to film in 4k while being a cheaper camera makes the Panasonic ZS100 a top contender in the compact camera market. 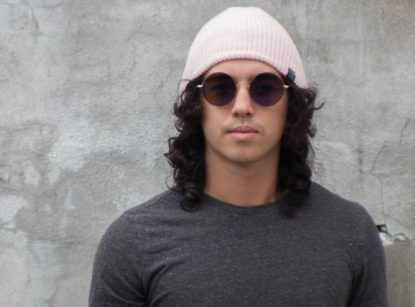 Something to keep in mind is that if you do take photos or film in 4k, there will be a tighter crop, meaning you’ll be losing some of that wide angle view. The camera has an LCD touchscreen, however, it does not have any screen tilting features. Not having any screen tilting features might not be ideal for people who were planning to use this camera for vlogging style videos. Some extra features that we really like that come with the Panasonic ZS100 are that you can do USB charging with this camera and there is built-in-wifi for easy photo/video transfer to your smartphone. It’s a good compact camera if you’re looking for 4k video recording at a cheaper price, but not having a monitor that can tilt upwards or downwards could be a selling point for some. The Leica Q is the premium choice of all of the compact cameras that we are going to discuss. This is a very professional device that’ll feel great in your hands. It’s a machine with purpose and maintains the classic Leica look and feel (Luxurious and unique). The Leica Q is an amazing compact camera for photography. It’s quick and easy to bring out and turn on for those moments that require you to take a quick shot. This camera’s autofocus is fast and dependable, much quicker than any of the other compact cameras we have discussed. You also have the option of manual focus, which is satisfying to use. The manual focus is buttery smooth on the Leica Q and we love it. The viewfinder on the Leica Q uses magnification and focus peaking, great for acquiring your target in darker settings. You will find that the electronic shutter is very silent, great for being more discreet about your photography. This camera shoots with a 28mm lens, which gives you a wider angle view. It does also allow you to shoot in “auto-cropped” mode, with the options of taking photos to fit 35mm or 50mm. Overall, you’ll find that the photos you take with the Leica Q will be extremely detailed and very high quality. While the Leica Q excels at all aspects of photography when compared to other compact cameras in the market, the video performance does lag behind a little bit. The Leica Q does not film in 4k, only shooting in 30fps and 60fps 1080pHD. For the expensive price tag, having no 4k options can definitely be a turn off for people who are looking for a compact camera for video. It does have an LCD touchscreen monitor, however, it does not tilt upwards or downwards, again another important feature that many vloggers are looking for. Unfortunately, Leica Q does not allow USB charging, meaning you’ll need to carry around some extra batteries. Filming video does take more battery power than taking photos, making it hard to recommend the Leica Q for video purposes. The video quality is nice and crisp, but if your main reason for getting the Leica Q is for video, I would recommend looking at the other compact cameras that we’ve discussed earlier in this article. Overall the Leica Q is a very professional compact camera that’s incredible for on-the-go photography but isn’t recommended solely for video recording purposes. 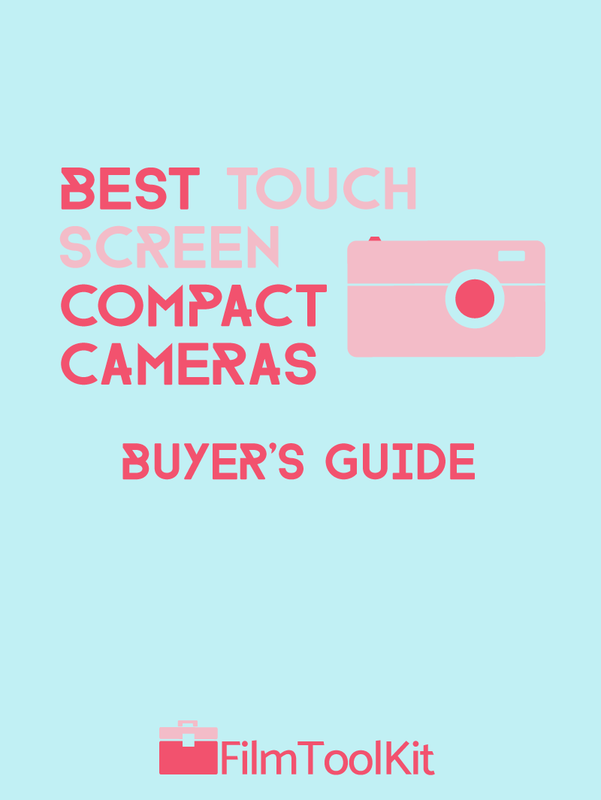 Well, there you have it, the best touchscreen compact cameras that we recommend you use in 2019. Hopefully this guide helps you find the right compact camera that fits your needs.